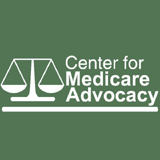 On April 1, 2019 the Center for Medicare Advocacy joined AARP and Justice in Aging in filing an amicus brief in Texas v. United States, urging the Fifth Circuit Court of Appeals to reverse the trial court’s December 2018 ruling that would nullify the entire Affordable Care Act (ACA). The three organizations highlight the ACA’s critical protections for older adults and the disastrous ramifications that would ensue if the law were to be struck down. The amicus brief was filed in support of the appellant states, which are led by California. Last week, the U.S. Department of Justice announced a new, more extreme position in the case, maintaining that the entire law must be invalidated. The brief explains that the ACA is a lifeline for older adults, who rely on it for their health and financial stability. For “pre-Medicare” individuals, ages 50-64, the law guarantees coverage of preexisting conditions and limits how much more insurers can charge based on age. For Medicare beneficiaries, the ACA lowers medical costs by, among other things, closing the “doughnut hole” in the Medicare Part D prescription drug benefit. That provision alone has saved more than 11.8 million Medicare beneficiaries over $26.8 billion. The law eliminated out-of-pocket costs for numerous preventive services. The ACA also helps nursing facility residents by protecting against fraud and abuse. Finally, the ACA strengthens the financial solvency of the Medicare program, having extended the life of the Medicare Trust Fund by approximately eight years. “If the ACA is struck down,” said Judith Stein, Executive Director of the Center for Medicare Advocacy, “millions of older adults and people with disabilities will lose the health care coverage and consumer protections they have relied on for almost a decade.” Because the ACA contains around 165 provisions that impact Medicare, it will also throw the Medicare program into fiscal and administrative turmoil, which will disrupt the nation’s health care system and economy. It will plunge the more than 100 million people with preexisting conditions into uncertainty about whether they can obtain coverage. The ACA is deeply rooted into the nation’s health care system and economy. Millions of Americans depend on the Act for their health, protection, and well-being. Their lives now hang in the balance…. The ACA is the law of the land. Entry filed under: Affordable Care Act, Health Care Reform Repeal, Obamacare, Uncategorized.